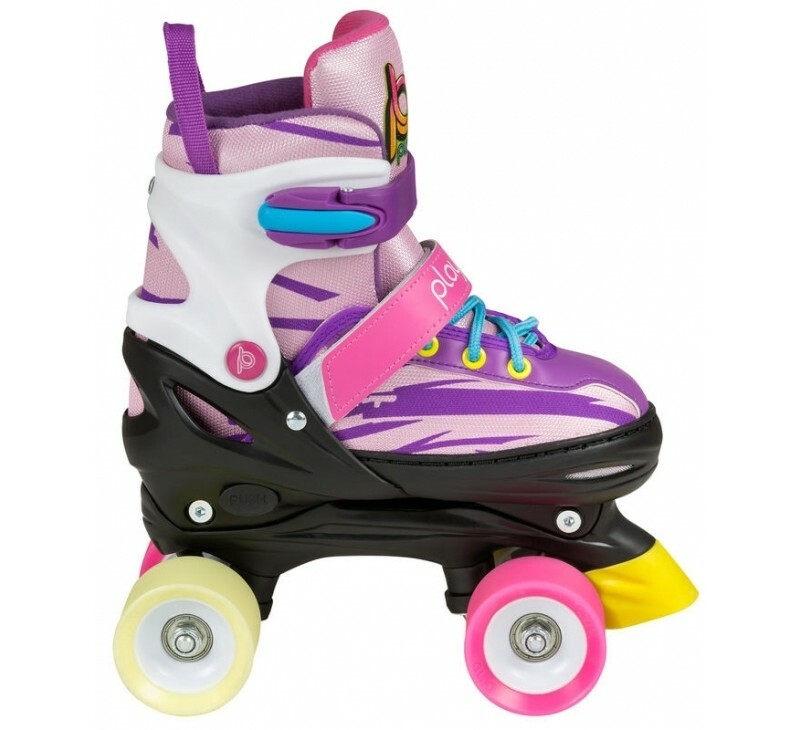 Playlife size adjustable roller skates - the Powerslide Laja roller skates with 59mm wheel diameter and 38mm wheel width are adjustable from size 31 - 34, as well as size 35 - 38. 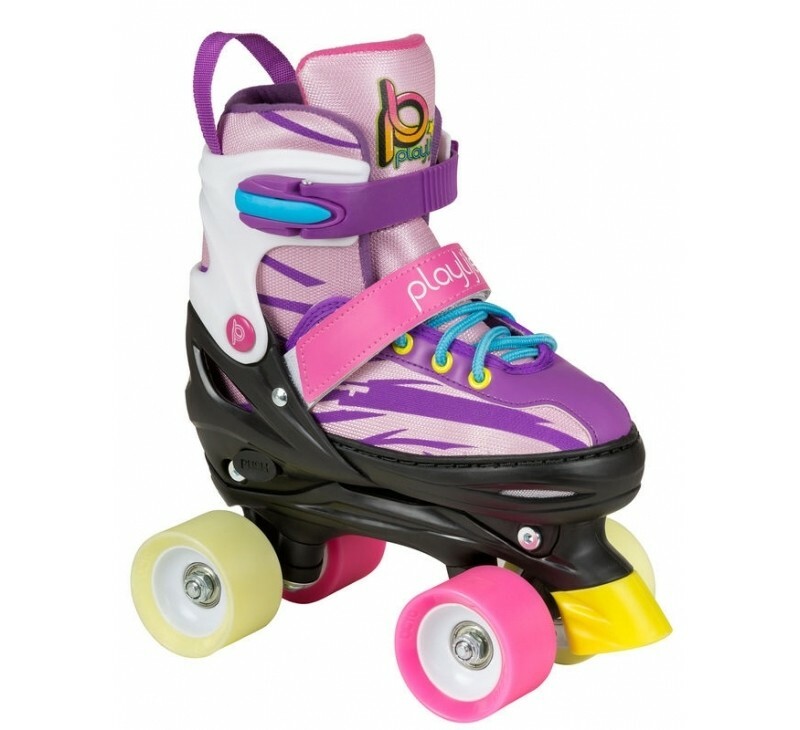 The Playlife Laja roller skates are an innovation due to the adjustable sizes. The first children's roller skates. Equipped with four high-quality Octo rubber wheels with a wheel diameter of 59mm, wheel width of 38mm and a wheel hardness of 78a. 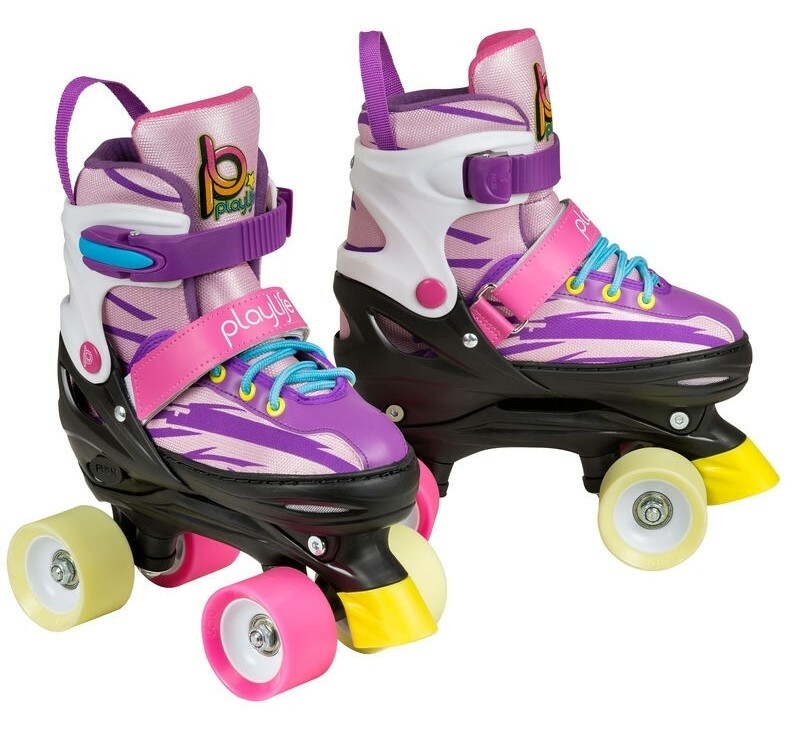 The size can be adjusted by a push button on the side, by holding the button pressed and then pulling or sliding the shoes.